Fast, fresh, real Asian soul food. 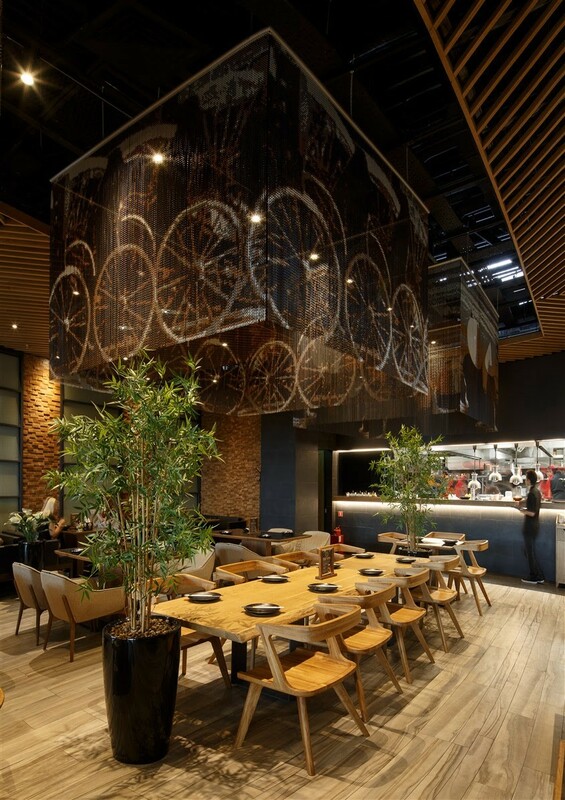 Popular choice for diners with its unique combination of wholesome food and an informal yet stylish setting. 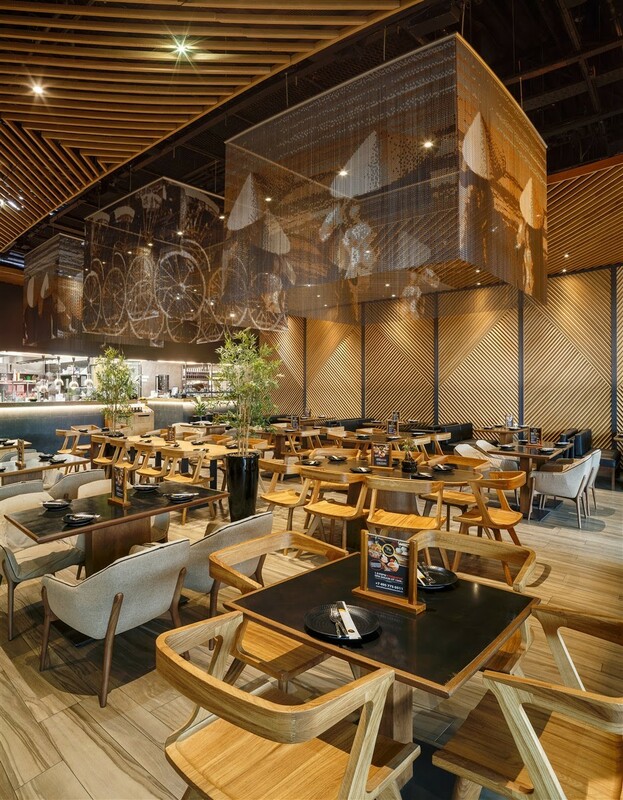 The Noodle House, flagship restaurant of Jumeirah Restaurants LLC., landed in Moscow inspired by the food and nightlife of exciting South-East Asian cities such as Hong Kong, Shanghai, Bangkok and Jakarta. 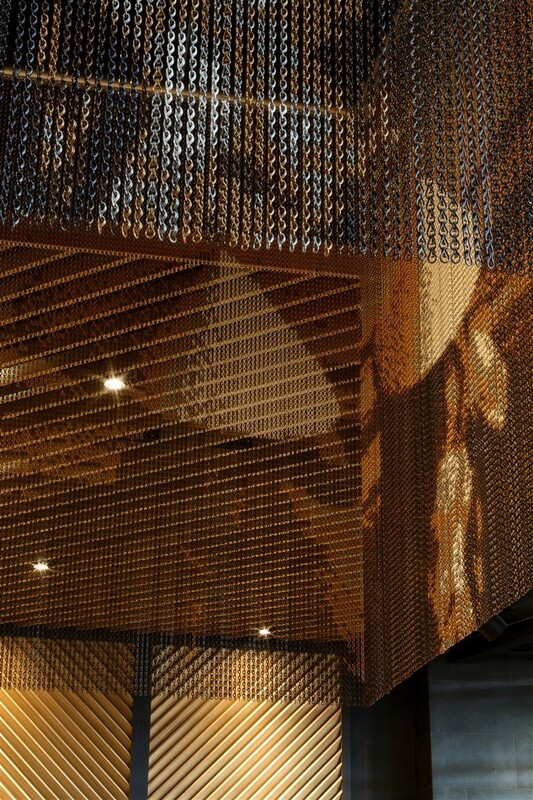 Above the dining tables you can find a ceiling solution by Kriskadecor. In this case, three concentric squared curtains with high definition patterns in warm tones.